I wanted to create a small toolkit for my airplane. Nothing too fancy here. 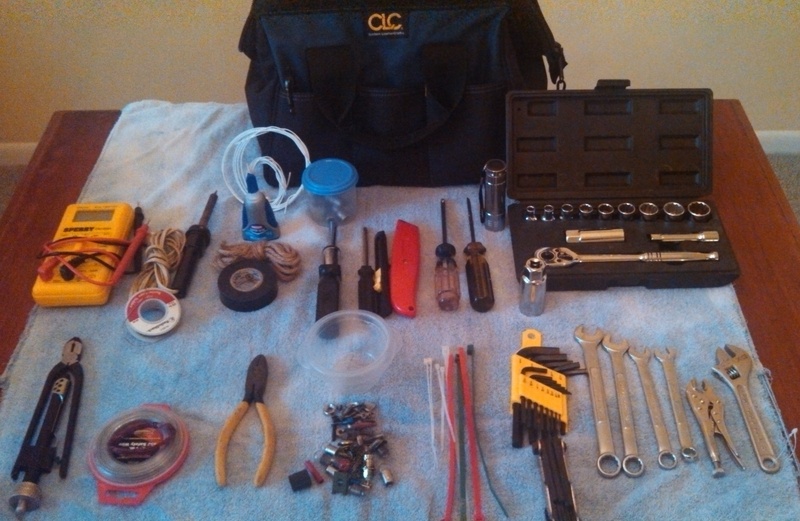 Just a simple tool bag that would cover the basic repairs I might encounter. This entry was posted in Flight on December 27, 2013 by WebRuss.